THE British government has been ordered to hand over minutes of cabinet meetings at which the decision was made to refuse a public inquiry into the murder of Pat Finucane. Judge Ben Stephens today (Tuesday) ordered that minutes of cabinet meetings in July 2011 and correspondence between MI5 and the Northern Ireland Office must be disclosed to the court. 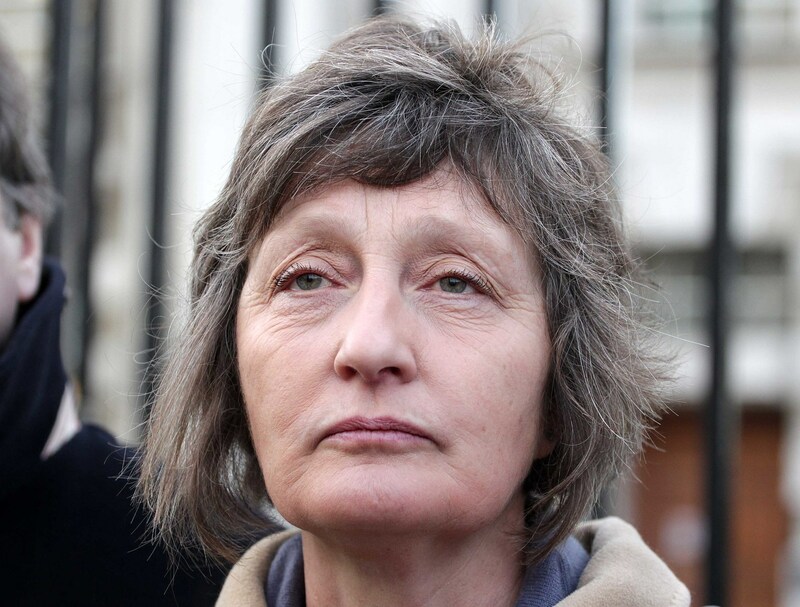 The order comes as part of a legal challenge by the solicitor’s widow Geraldine Finucane against Prime Minister David Cameron’s refusal to hold a public inquiry into the 1989 murder. Mr Finucane was shot dead by UDA killers in front of his wife and three children as they sat down to dinner on February 12, 1989. Mr Justice Stephens said that the gravity of the findings was self-evident but foreshadowed by evidence contained in confidential correspondence. “Even by Northern Ireland standards the facts are grisly. Moreover, in terms of allegations of British state ‘collusion’ with loyalist paramilitaries, this is the big one… whilst we know of no evidence of direction or advance knowledge of the murder by ministers, security chiefs or officials, exhaustive previous examinations have laid bare some uncomfortable truths. “Paid state agents were directly involved in the killing, including the only man ever convicted of involvement in it. “Some of the evidence available only internally could be read to suggest that within government at a high level this systematic problem with loyalist agents was known, but nothing was done about it. Mr Justice Stephens said that Mrs Finucane’s decision to take a legal challenge against the government decision not to allow a public inquiry into her husband’s murder was based on the allegation that the decision making process was not genuine and that the decision to refuse an inquiry was made under the influence of those opposed to any further investigation of the role of state agents in the murder. Mr Justice Stephens said that the government, whilst accepting that this was a case with a high level of factual enquiry, also argued that substantial materials were already before the court which explained in detail the background to the proceedings and impugned decision making process. However he said the fact that a document was confidential did not make it immune from disclosure. “I consider that this is a highly fact sensitive case requiring the most careful and accurate evaluation of the facts. “That it wll involve a painstaking analysis of a whole series of meetings tracing the whole decision making process from inception to conclusion identifying those who were involved in it and the roles that each played during the process. “That enquiry is not restricted to the actual decision maker but also to those involved in the decision making process including civil servants who were advising the decision maker. The court will resume on Friday when a decision will be taken on when the government documents will be handed over to the court. Should truth be separated from reconciliation?